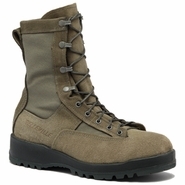 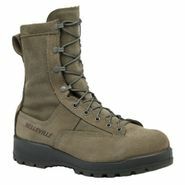 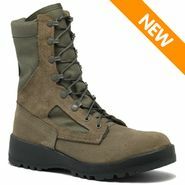 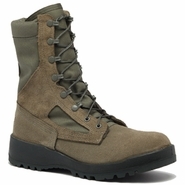 Belleville sage green military boots were designed specifically for the needs of the United States Air Force. 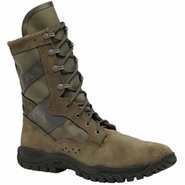 All sage green models are approved for uniform where with the Airmen Battle Uniform or ABU and are compatible with digital camouflage. 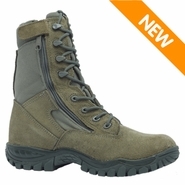 The entry-level 600 features hot weather construction and a breathable upper for maximum cooling while under pressure or operating in hot climates. 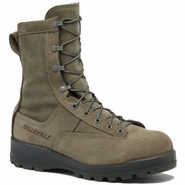 Belleville's higher end models such as the 695 feature waterproof protection using a Gore-Tex liner to create an impenetrable, yet breathable protective barrier against standing water and rain.